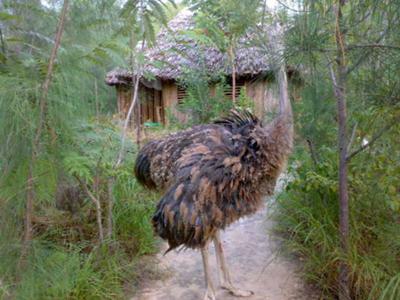 The resident ostrich along a trail and the eco lodge in the back ground. 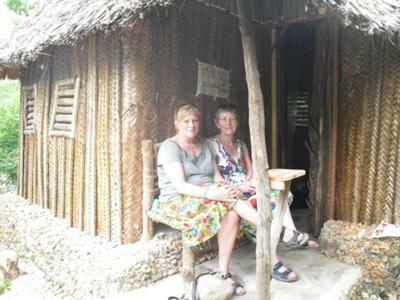 Gosana Culture and Nature Park is the closest nature park to Kilifi town - North Coast of Mombasa, Kenya. The reserve offers the opportunity to explore a beguiling diversity of habitats within a few hours. The Park is inhabited by the blue-tailed monkeys and colourful turacos and trogons, pairs of wide-eyed dik-dik, hares on spindly legs. Many species of colourful birds inhibits the green forest of native indigenous trees. Guinea fowls, ostriches, hawks, colourful weaver-birds, dik-dicks and antelopes are easily sported while at the Parks Restaurant. As one who was born and brought up in Kenya, I know how marvelous this place is. 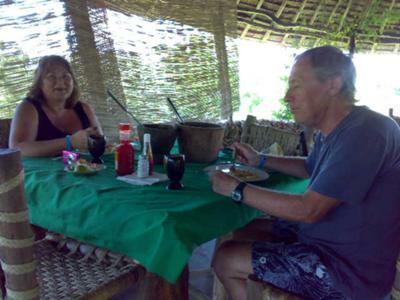 It is the right place where you can explore the nature and the wildlife. It has got elephants, tigers and many more. A Kenyan trip should not be missed.